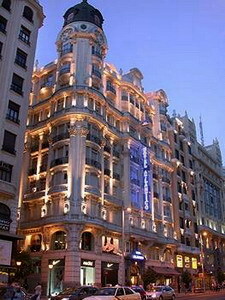 The Hotel Atlántico in Madrid is a stately building, topped by a French-style dome from which a great part of the city can be seen. 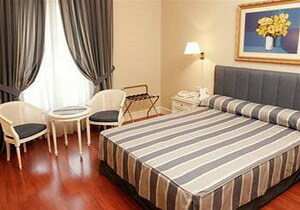 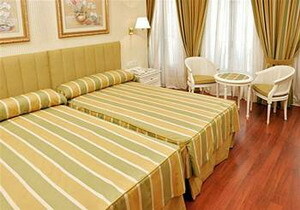 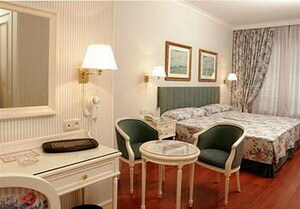 Situated in the heart of Madrid, it makes the ideal lodging choice. 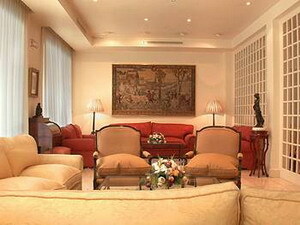 This first class property is strategically located only 18 kilometers northwest of the Barajas Airport. 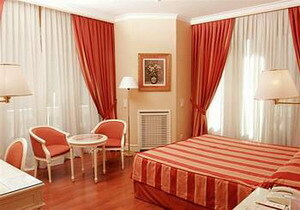 This hotel does its very best to offer guests the best service possible so that they will feel as if they are at home. 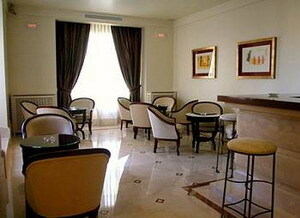 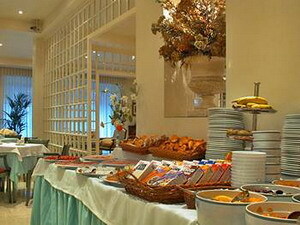 Guests can enjoy a cafeteria and lounge with a panoramic view of Madrid and then retire to a comfortable room. 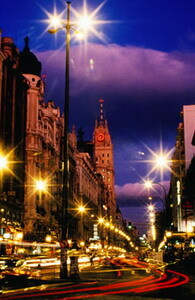 the Prado Museum, the Reina Sofia Museum and the Thyssan Bornemisza Museum. 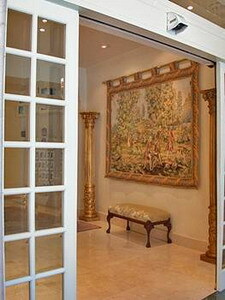 This property is moments away from fine dining, shopping and entertainment venues. 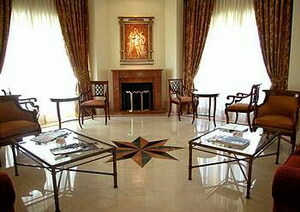 A cordial and attentive staff is on-site to assist you with any needs that you might have. 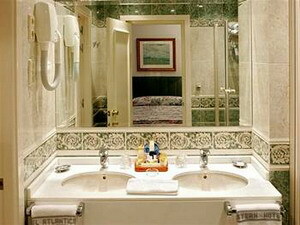 The Hotel Atlantico in Madrid provides complimentary airport transportation at 9 a.m., 11 a.m., 1 p.m., 4 p.m., 5:30 p.m. and 7 p.m.
Each of the 114 guestrooms at the hotel are quiet, comfortable and decorated each in its own style. 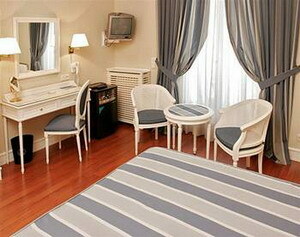 Equipped with air conditioning, bath amenities, Internet access (surcharge), hair dryer, safe, mini bar, remote control color cable TV, these rooms are intended to make all guests as comfortable as possible.